When mental organization skills (the ability to group items & name common characteristics) are lost or damaged, it affects our basis for structuring & understanding the world. 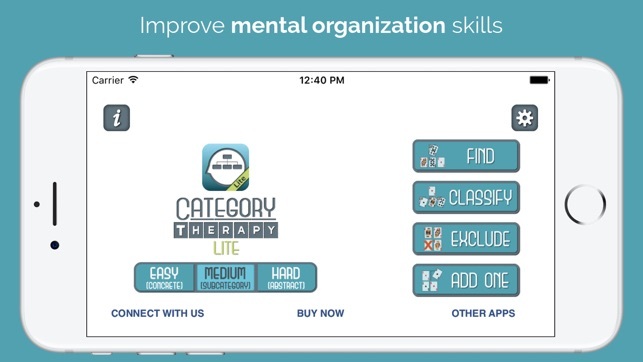 Category Therapy encourages re-learning categorization skills by providing unlimited therapy using evidence-based exercises on your mobile device. Category Therapy helps patients develop categorization skills along a hierarchy from simple to complex. It was designed by a Speech-Language Pathologist as a stroke recovery tool and is perfect for people who have difficulty speaking or finding words. Category Therapy fits within a collaborative rehab model, seamlessly linking the clinic to the home, while connecting therapists to families & clients. 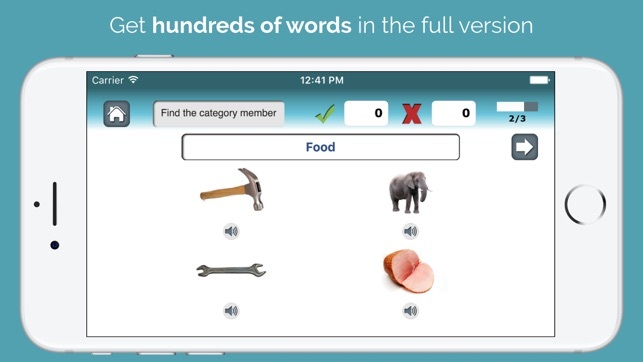 It’s a useful assessment tool for professionals to gain insight into the cognition & comprehension of non-verbal patients, and the comprehensiveness of the app allows for extended engagement & practice time. Category Therapy is simple & intuitive for both professionals and patients, providing more repetitions & faster improvements. The clean, high-contrast layout uses realistic photos, recorded voice & easy-to-read print. Interactive text & icons enable the user to hear an item, category, or instruction stated aloud. With 700 images in 70 categories, four activities with three levels, & multiple settings, the full app has literally thousands of unique exercises. 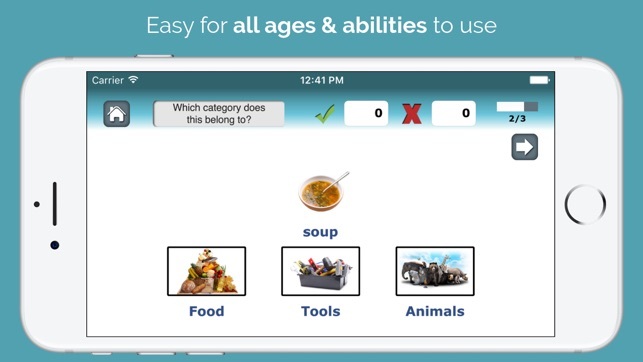 Category Therapy is valuable for learners of all ages & abilities. 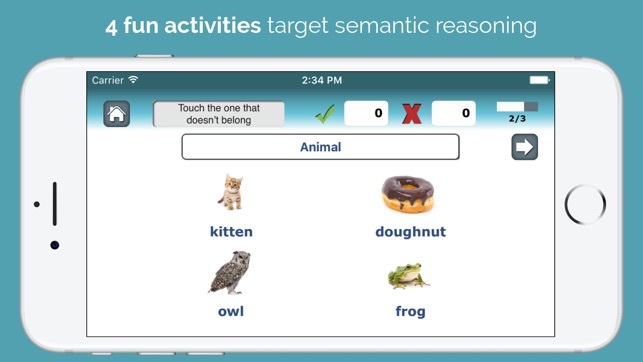 Try Category Therapy Lite for a small taste of how this app can add educational value to any rehab center, special education classroom, or speech clinic. We believe that therapy should continue as long as you want to improve. We make apps that let you decide when, where, & how often you want to practice. We believe that apps should make therapy easier for clinicians. 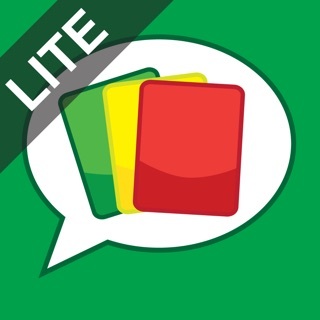 This app is a great app that can be used in many settings with both adults and children. It definitely gives a good view of what the full app is capable of. I appreciate that you can try out all 3 difficulty levels which range from easy concrete categories such as animals to medium subcategories such as pets to harder abstract categories such as things that fly. 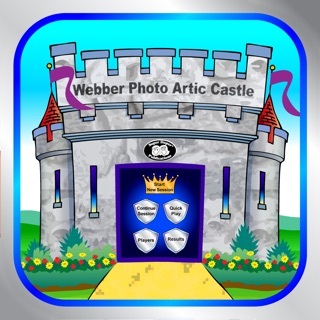 Also this app gives you the opportunity to try out all 4 activities. These include "Find" in which you have to touch the picture that belongs in a given category, "Add One" in which you have to add an appropriate category member by touching the picture that goes with the ones shown, "Exclude" in which you have to touch that picture that does not belong in a given category, and "Classify" in which you drag a given picture to the appropriate category to which it belongs. I will definitely be adding the full version to my wish list. I was very excited when I saw Tactus Therapy Solutions had released a new app. I downloaded this free version immediately. As i was playing with the app I found myself wishing that i could get rid of the pictures as I felt they added too many clues as to which category the item belonged in. To my excitement, when I went to the setting page, I found not only was written word only an option, but I could also choose a child friendly mode. I love that I can choose from 3 levels of difficulty too! I feel this app will be beneficial to both the children and adults on my caseload. The only thing I feel is missing from this app is the cueing aspect I have found in other Tactus apps. As I have come to expect from your apps, the quality of the images is exceptionally clear and uncluttered. The clarity of the auditory directions is nicely accompanied by text if desired. The layout is nice and simple and the settings make it easily customizable. 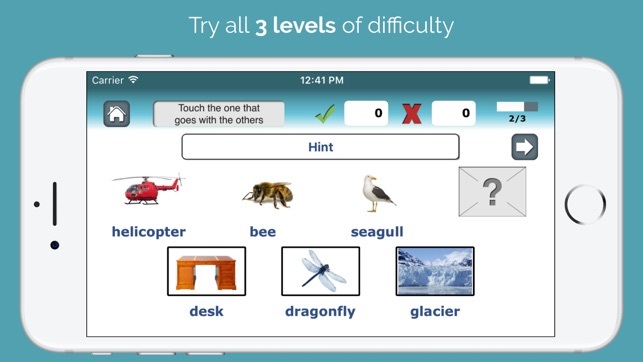 There are four different activities across three difficulty levels which help access understanding of the concepts. I like that field of choices adjusts and always appreciate data tracking. This app seem appropriate across ages. The layout is nice and simple and the settings make it easily customizable. Thank you Tactus TherAppy. © 2012-2018 Tactus Therapy Solutions Ltd.